It's thought that yesterday's incident in which Dutch driver Christijan Albers left the pits too early, ripping off his fuel hose and retiring just moments later, has cast further doubt on his future with Spyker. Due to a radio problem both Albers and Adrian Sutil pitted at the same time, however, in this enthusiasm to return to the race the Dutchman exited his pit area before the lollipop had been lifted, thereby ripping off the fuel hose from the rig and hitting a number of his crew members. A few yards after leaving the pits, realizing that the hose was still attached, Albers pulled off track and retired. Following the race, the Dutchman expressed his relief that nobody had been injured in an incident that was of his own making. "I think the most important thing is that the guys were OK and nobody was hurt in the accident," he said. "I think I just made a mistake in the pits, I thought the lollipop was going up. It was quite chaotic as Adrian had just been in the pits, but more on my side and I just drove away. "I am pleased that the guys are OK; this is the first time in my life that this has happened, and hopefully the last." Though chief technical officer Mike Gascoyne played down events, team boss Colin Kolles was clearly unhappy, and said so: "I am not happy and we have to learn from the mistakes that were made today." There is already speculation that Giedo van der Garde is being groomed for a future with the Dutch team, a situation helped by the fact that his girlfriend's father Marcel Boekhoorn is a shareholder in the team. 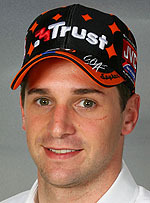 There is no doubt that Albers has been roundly beaten by rookie Sutil, who has out-qualified the Dutchman six times this year. The team has admitted that it has already warned both drivers that they need to raise their games, with Gascoyne and Kolles talking to both drivers following a needless incident in Canada which saw them collide. "We were racing other cars and towards the end of the race we were faster than other teams as Christijan was lapping quicker than Alex Wurz, who later finished on the podium," said Kolles. "Adrian too was a very strong prospect and, given the way the race went, we could have been in for a potential points finish. We got the strategy calls right, so the double DNF was clearly a missed opportunity. "The retirements were avoidable and we know that," he added. "We cannot continue making mistakes that ultimately cost us positions and points. As we have seen, anything can happen in a race and we need to be ready and waiting to take advantage. We can't afford to let opportunities go past like this. "Both Mike and myself spoke to Adrian and Christijan after the race," he revealed, "and explained how we could not accept another situation like this. But the drivers know this themselves - they are their own harshest critics and if you can't take some constructive criticism then there is no place in any team for you."